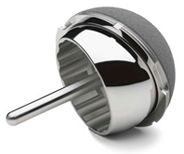 Hip implant devices are made from several different materials including metal-on-metal, metal-on-polyethylene, metal-on-ceramic as well as those which are made entirely of ceramic or polyethylene. While each type of hip implant has its pros and cons, the metal-on-metal implant was developed as a way of sparing implant recipients the necessity of a revision surgery eight, ten or twelve years down the line. The metal-on-metal implant will typically last from fifteen to twenty years meaning those recipients in their sixties might be spared a revision surgery. As far back as 1937, very crude stainless steel implants attached with bolts and screws was tried then in 1955 a more sophisticated version of the metal-on-metal hip implant was used. The FDA did not actually approve the metal-on-metal implant until 1999 and since that time almost 17,000 problems with the all-metal hip implants have been reported to the FDA, with 12,000 of those reports coming in during 2011 alone.